More companies than ever are boasting outsourced payroll, and enjoying the benefits of efficiency and peace of mind because of it. That said, there are still a lot of people on the fence due to a couple of unanswered questions. Outsourcing payroll is a big decision and one that can dramatically change the way you do business for the better, and that means it's certainly worth the research. Luckily, we can answer your most burning questions right now. For those who don't know, companies who have outsourced payroll have effectively partnered with a third-party to handle the aspects of human resources and payroll they no longer have the time, resources, or expertise to handle in-house. Because HR and payroll are highly expensive aspects of doing business, it's no wonder so many people are searching for an alternative. With outsourced payroll, a simple monthly price gets you a team of experts to handle everything—remittances and taxes, regular payroll and deductions, legal compliance, vacation, holiday pay, and more. For businesses that can't afford a large payroll department, it's an ideal solution. They make use of the best in business without the bank-breaking price tag of an entire in-house department. So how does it work, exactly? It's a common question and one of the most important. Before you can begin to deal with outsourced payroll, you'll need to research and choose the right payroll company for you. You'll want to find a company that understands legal compliance for not just your specialization, but for your whole industry as well—and you'll want to find one that cares about your nuanced individual needs. Understandably, plans should fit your business, not the other way around. Be sure to find out if there are any hidden fees associated with the outsourced payroll services you’re looking in to—a good payroll company will not tack on any extras without you knowing about it. Once you've found the right group, you'll be sent a payroll report. This is a report detailing the things you've laid out, like the pay cycle you'll be working on, policies on vacation pay and benefits, and so on. The report needs to be approved before anything else can get started. Because people who specialize in outsourced payroll also deal with tax remittances (for both your employees and your company as a whole), they'll need to know about these remittances as well in order to comply with the law. This means in addition to payroll, you don't need to worry about your annual taxes either—the professionals are on it! With all the complications-related to payroll, it's no wonder so many people turn to payroll service providers in the end—everything (and we mean everything) is taken care of off-site, allowing your workers and your company to focus on core operations and goal-oriented activities instead of paperwork laden peripherals. While you focus on increasing your production and profit, you'll receive one simple invoice at an interval set by you, breaking down all costs and operations in one single step. Perhaps the most attractive aspect of outsourced payroll is the money saved—instead of paying several full-time employees to manage details, you pay a single fee for a large team who will dedicate themselves to your flawless payroll work. This also means you can divert your staff away from side activities to bring their expertise into action, focusing directly on your company's future. It's also an incredible time-saver! Payroll and human resources take up a great deal of time and can become inefficient, no matter how hard your staff tries. When it's outsourced, it becomes dramatically simpler and just a matter of reviewing the schedule you set to ensure everything is done correctly and on time. Consult with a PEO today and see just how much they can do for you. Will Outsourcing Payroll to a Payroll Provider Impact Your Employees? For all the wonderful things we've heard about outsourcing payroll, there has been a burning question on the minds of many: if a company outsources their payroll, how does it affect their employees? What happens to their current payroll workers and how does having payroll processed off-site change the dynamic on your team? These are all fantastic questions and important ones—ones that can't be ignored. Any changes to the core aspects of a business, especially those that most effect your workers, need to be carefully considered. We're happy to address those concerns and offer advice on the smoothest way to go about the transition. When you partner with a good payroll provider, you'll find that they can guarantee that your employees will always be paid on time and with accuracy—meaning they'll always get their T4s come tax time, their vacation and holiday pay will always be in order, and any deductions to things like retirement funds and employment insurance will be taken care of. This means a sort of peace of mind that often cannot be delivered when handling these services in house. Not only does the accuracy reduce stress from the work environment for your employees, but it speaks volumes for you as a company. When you're able to comply fully with the law with ease, like you will be able to with a payroll provider, you don't have to sweat the small stuff anymore. Administrative errors and mistakes, late payments or improper deductions, misclassification of workers, fumbling taxes—all things of the past! This means that outsourcing payroll not only increases your productivity and legal safety, but it makes your workers happier too. When you consider how much it costs to hire an on-site team to manage payroll, outsourcing payroll to a payroll provider costs a lot less money. Since many companies can't afford to hire a team anyway, this is the best way to secure the expertise of professionals dedicated to payroll, tax laws and human resources without the extensive price tag. Your company can also save a great deal of money when it comes to legal compliance, since you'll be able to avoid these kinds of mistakes that can lead to fines and penalties to boot. When you work with a payroll provider who's truly dedicated to the best kind of service, you won't be paying any invisible fees. This means the price you agree on is the price you pay and this keeps your company budget balanced and precise. The less money you can spend on payroll processing, the more money you can filter back into your company—be it for growth, promotions, benefits, raises—whatever you desire. When considering outsourcing payroll, many companies hesitate, unsure of how to deal with the employees that they already have sharing that task (or tasks, as it were). While outsourcing has left a sour taste in the mouths of many, there's a way to make everyone happy by thinking outside the box. As a business, you understand that your employees are your greatest assets—they're creative, hard-working people. What many companies neglect to consider is that they're also multifaceted individuals and their perspective could be a great benefit in more than one area of the company. In many cases, once a business has engaged a payroll provider, they end up moving their employees to different tasks—ones that are more engaging, or core to the operation of the business. An employee familiar with payroll and accounting could be an excellent asset when it comes to budgeting or financial planning. 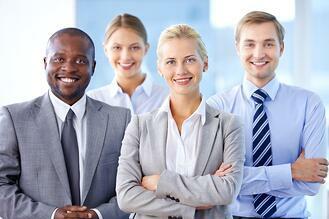 A human resources worker is likely well equipped to make an excellent manager. When you consider what else your workers can do, you're able to save money and work towards your goals in a more effective manner. Virtually every business owner will, at one point or another, face an internal debate about whether or not to outsource payroll. There are some compelling points on both sides of the argument, and although outsourcing can be highly beneficial for many organizations, like everything else in life, it isn’t for everyone. To finally put an end to the debate, you need to figure out if it’s the best option for you personally, considering your own unique circumstances. It’s a matter of logically working through the core elements of the decision as they relate to your company. Here are three critical factors you need to consider when deciding whether to outsource payroll to a third party or keep the function in-house. Do You Have the Right Skillset In-House? 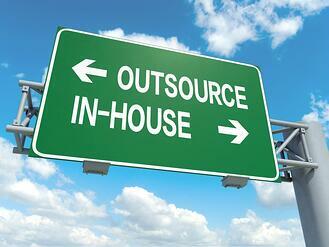 Not having the right skills in-house can be a pretty compelling reason to lean toward outsourcing. If you own a small or mid-sized business, you might not have very complex payroll needs right now with only a few employees. But once your business starts to grow, you’re going to need an expert handling the task. It’s going to become a liability to handle it yourself. You could make errors that will end up costing you in fines and penalties. Payroll involves more than just making base calculations and cutting cheques. You’ll need to understand how to file quarterly reports, how to effectively withhold CPP and EI deductions, how to manage taxes, how to garnish wages, and how to pay overtime, commission, and tips, among other things. There are laws to follow and deadlines to remember, too. Even using a payroll software program is no guarantee that your processing will be accurate. You will still be held liable if you make errors. If you and your employees don’t have the required expertise and experience to handle these daunting tasks, it might be a better option to outsource payroll instead of trying to handle it in-house, where it’ll be managed by payroll experts. This will significantly minimize your risks and ensure accuracy of payments. If you’re largely handling the majority of your business tasks on your own, or only have a few employees helping you, you simply might not have the time required to dedicate to payroll every single pay period. Since you likely don’t have experience and expertise in the subject, it’s going to take you longer to process payroll. You’ll be spending a lot of time looking up regulations and double checking your calculations. And the more employees you onboard as your company grows, the more time consuming the task is going to be. You should be spending your valuable time on customer-facing activities, not on administrative tasks. That’s where your company needs you. Payroll can quickly become a full-time job. If you don’t have the time, you should outsource payroll to a third party. Not only will your payroll provider have time to ensure it gets done accurately and on time every pay period, but its team of experts will be able to do the work faster than anyone in your office could. Which Options Will Cost Less? Of course, cost is going to be critical to your decision. You want to choose the option that will provide the most value for the lowest cost. And there are many factors you’ll need to consider. For one, you’ll need to put a dollar amount to the value of your time. Or, the salary and benefits of a payroll clerk, if you have one. Additionally, you’ll need to consider the costs of your payroll software, maintenance and training. Then there are the direct costs associated with buying a printer, ink, cheques, and other supplies. When you add it all together, you might be surprised at how much you’re actually spending on payroll. The monthly fee you’d pay to outsource payroll might be lower. 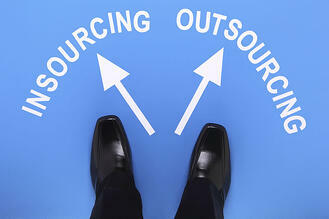 Outsourcing payroll is a big decision for any business owner. Whether or not it’s the best route to take for your company will depend on many factors. It might not be the right choice for every company, but the business owners who do outsource can benefit greatly from the added accuracy, the extra time to focus on core business activities, and the assurance of compliance. You shouldn’t rush into the decision, though. You should fully understand the process and have all of the information you need to make an informed decision before you decided whether outsourcing payroll is right for you. Here are answers to three important questions about outsourcing payroll that you might be too afraid to ask a payroll provider. 1. How must does outsourcing payroll cost and is it really worth it? The cost of outsourcing payroll will vary depending on the number of employees and your specific needs and requests. You’ll be charged a monthly fee for the service package you choose, which may include pay cheque processing, tax filing, online access, delivery charges, cheque signing, envelope stuffing, and direct deposit. You will never be surprised by hidden costs. Your payroll provider will be completely transparent about the expected expenses. Is the cost worth it? Absolutely. Considering how much you would have to pay for a salary and benefits to hire an in-house clerk, to invest in payroll software, training, and maintenance, and to spend on supplies and equipment, the cost of outsourcing payroll can be significantly less expensive than handling payroll processing in house. Plus, you’ll avoid the risk of having to pay fines and penalties due to noncompliance because you’ll have experienced payroll experts handling the task. 2. How much control will I lose over the process? Many business owners are hesitant to jump on board when it comes to outsourcing payroll because they do not want to relinquish control over such an important part of their business. There’s no need to worry about this: you will have complete control over the entire payroll process. The provider will verify your payroll data, calculate deductions and other withholdings, and handle all of the administrative paperwork, but everything will be sent back to you for approval. You will be able to make any changes that are required, and you will always be able to access your company data. You don’t lose control or authority over the process—you just have fewer hassles to deal with. 3. Can I trust that my payroll data will be secure with a back office service provider? If you’re handing over all of your financial documents, employee files, and other confidential data to a payroll service provider, you of course want your information to be kept private and secure. A security breach can significantly hurt your company. The truth is your files will likely be even more secure when you outsource. Allowing an in-house clerk to handle the responsibility puts you at risk of payroll fraud, theft, and breaches. With a payroll provider, you reduce this risk. The provider will use top-of-the-line technology with the highest encryption standards, the best firewalls, and appropriate authentication processes and restrictions. Your information will also be backed up daily in multiple locations so you don’t have to worry about losing your files, no matter what catastrophic event occurs. When you outsource payroll, you will save on costs and benefit from many valuable services, you won’t lose control over a key aspect of your business, and your files will always be safe and secure. If you have any other questions concerning payroll outsourcing, don’t hesitate to ask. Get the information you need to make an informed decision so you can have peace of mind. Outsourcing non-core functions can do wonders for your company. Non-core functions, like payroll, are certainly essential, but they do not differentiate your company strategically from your competitors nor do they bring in revenue, and so they do not necessarily need to be handled in house. They don’t need your strict overview. Outsourcing your administrative and back-office activities like payroll can increase your business’s overall efficiency and reduce costs. Here are five long-term advantages of outsourcing the responsibility to a third-party service provider. What business owner wouldn’t love to have more time to focus on his core business? Paperwork and tedious, repetitive administrative work seem to often take over much of a business owner’s work day, no matter how much he wants to focus on more important activities. When you outsource payroll to a back office service provider or professional employer organization, you can get back to what matters. You can return to concentrating on the activities that directly increase sales and enable your business to grow. Payroll is time consuming, incredibly so if you have a lot of employees on staff, but you don’t have to be the one spending your time on it. Your back office service provider will handle the mundane tasks like printing and distributing cheques and pay stubs, filing employee forms, and calculating tax deductions, so you don’t have to. 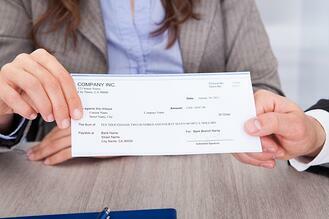 There’s a lot to know in order to process payroll correctly. There are wage and hour laws to understand. Tips, commission, allowances, and expenses need to be calculated during tax deductions. Employee classification is important. There are CPP and EI maximums and exceptions to figure out. And tax rates differ by province. All of these rules can be highly technical, changing depending on your employees’ personal circumstances and where your company operates in Canada. And to make it more complex, the tax laws change every year, so just when you think you have a handle on things, they change on you. The chances are that you’re not a tax expert, so you can’t be expected to understand all of these regulatory regulations in order to follow them to the letter. But non-compliance can be costly, so it’s better to outsource the complex task in order to make sure that it’s being performed correctly the first time around. 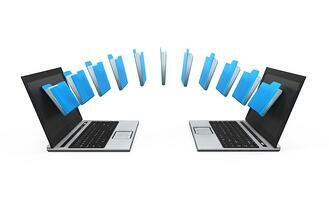 When you outsource, you’ll have access to the best technology on the market. You’ll be able to provide your employees with direct deposit and self-service access to their information online and on mobile. And you’ll be able to quickly and conveniently download reports, change records, enter new employees, track personal, vacation, and sick days, and have access to cheque histories, paystubs, ROEs, and T4s, and invoices, from anywhere in the world. When you handle payroll administration in house, you’re at an increased risk of security risks. If your networks and servers aren’t entirely secure, your confidential company and employee data might not be totally safe. And your accounting clerks could take advantage of your trust—by embezzling money, committing identity theft, or stealing from your company through the creation of ghost employees. When you outsource, your data and your money are more secure. In-house payroll processing and administration can get pretty expensive. You have to pay a clerk a salary, plus health coverage and other benefits, as well as pay for equipment and supplies, like software, printers, ink, and paper. When you outsource, you pay a small, convenient monthly fee and eliminate the costs involved with handling it in house. Plus, the increased accuracy you’ll get when you let professionals handle the responsibility will ensure that you significantly reduce the risk of having to pay potential fines, interest fees, and penalties from violating tax regulations or missing deadlines. The majority of business owners dread processing payroll, yet, in order to stay in control and possibly save on costs, they decide to handle the responsibility on their own. This is unfortunate because payroll outsourcing is actually the smarter choice. 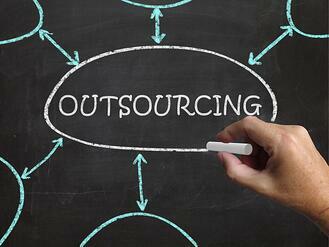 Here’s why outsourcing beats in-house payroll processing every time. If you don’t have the required skills, knowledge, and experience for processing payroll, you’ve already got a pretty compelling reason for outsourcing instead. Administering payroll is about more than distributing pay cheques. You must ensure withholding payments are made, correct calculations are made after considering exceptions and maximums, legislature is followed, deadlines are met, tax forms are filled out and issued, reports are filed, CPP and EI contributions are collected, and much more. And that’s just the minimum. Your company’s payroll processing could be far more complex, with pension and health care plans, wage garnishments, overtime, commission, expenses, and more to process. To a typical business owner, this list can be intimidating. But payroll experts will know how to handle even the toughest challenges. You’ll have access to the best practices in the industry, you’ll stay up to date on legislative changes, and you’ll have experienced professionals working for you to ensure your payroll is always processed correctly, no matter how complex. The technical resources your company requires in order to efficiently and correctly process payroll can be expensive, difficult to learn, and possibly unsecure. To deploy payroll software, you need a secure server or network, you must pay for repairs, maintenance, and upgrades, and you must be trained to use it. You’ll have to ensure you meet your software vendor’s server, operating system, and browser requirements in order to support an in-house payroll processing solution. You’ll also need an IT expert on hand to help you with any database, software, or network issues that arise. But with payroll outsourcing, you’ll receive access to state-of-the-art software that is 100 percent secure—and it isn’t purchased on your dime. When processing payroll on your own, you run the risk of making costly errors. One of the most impressive features of payroll outsourcing is its accuracy guarantee. You won’t have to risk overpayments or government fines and penalties. When the fines cost you more than the original error, it’s important to get it right the first time. Additionally, when you outsource, you get to avoid the risk of data threats, embezzlement, fraud, and theft by an in-house employee. The third party will have increased security measures and does not require your employees to be in contact with confidential files at any point. You probably think that the biggest advantage of processing payroll on your own is saving on the costs associated with employing a back office service provider. But once again, payroll outsourcing beats in-house processing in this regard, too. If you put a dollar value to the time you spend on payroll, and consider the salary and benefits you pay an in-house clerk, the money you spend on cheques, ink, printers, software, and other supplies, and the money you might have to pay in fines, interest fees, and penalties if you miss deadlines or make mistakes, payroll outsourcing is far less expensive. Typically, you pay a flat monthly fee, that’s it. No hidden costs or added expenses to worry about. As a business owner, you shouldn’t be spending the majority of your time tracking time sheets, updating records, looking up tax laws, fielding employee tax questions, and drowning in paperwork. This tedious administrative hassle just isn’t worth your valuable time. Your efforts would be better spent on revenue-generating business activities. Leave the administrative work to a back office service provider and get your focus back on your core activities. 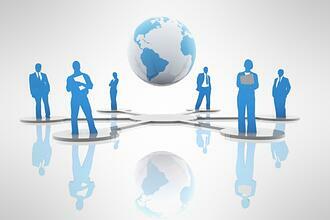 Payroll outsourcing will free up a lot of your time so you can enhance your overall profitability. Small business owners are burdened with a great deal of responsibility. First-time business owners, especially, are often surprised and find themselves in over their heads when business really gets rolling. One of the more taxing (no pun intended) responsibilities for a business owner is payroll management. This can be a complicated, time-consuming process anyway, involving totaling hours, performing gross-to-net calculations for each employee, calculating and depositing payroll taxes, and preparing and filing tax returns accurately and on time. These payroll management responsibilities can be especially difficult for business owners without previous experience in financial bookkeeping. Unfortunately, the consequences for mistakes in payroll processing can be quite serious and costly. However, business owners don't have to go it alone, and many of them are choosing to outsource their payroll management responsibilities to payroll processing companies. 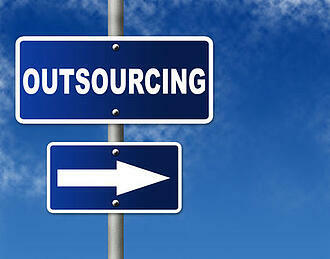 There are many benefits to outsourcing to a payroll service. Outsourcing payroll can free up staff time to pursue more important value-adding and revenue-generating activities. A payroll provider can greatly reduce the direct costs of processing payroll. Most payroll services provide a tax guarantee, ensuring that customers will incur no penalties because the providers will take responsibility. Manual payroll can range from a headache in the best of situations, to a total nightmare when something goes wrong. Business owners who outsource payroll eliminate a perpetual source of personal irritation. Many employees prefer direct deposit, because it means no more unnecessary trips to the bank. For business owners, direct deposit is important because it eliminates time-consuming and error-prone paper handling, and the necessity to reconcile individual payroll cheques each month. Direct deposit is difficult if a company is not working with a payroll service. It's difficult for business owners to know whether they have the most recent payroll software, or the most up-to-date tax tables, but a payroll company can monitor all of that, making sure payroll is processed using the most up-to-date information and technology. Outsourcing payroll allows smaller companies to keep up-to-date with the constantly changing regulations, withholding rates, and government forms, taking advantage of expertise that was previously only available to larger companies. If your bookkeeper gets a new job, they can walk out the door, taking their knowledge of the payroll system with them, leaving you helpless. Don't get in over your head with payroll responsibilities. A payroll processing company would be happy to help you, and will make sure your payroll is completely accurate and on time, taking a lot of stress off your shoulders. As a small business, it can be difficult to manage payroll and HR services, without taking focus away from the core of your business. If you don't have extensive experience in financial recordkeeping, it can be difficult to manage accounting and tax preparation. Since the consequences for mistakes in these areas can be complex, risky, and expensive, it's often in a business's best interest to outsource payroll, HR management services, and employee benefits to a dedicated company, so that you can focus on the business itself, without the employer minutiae. Employer of record services, also known as professional employer organizations, can help take the weight of these responsibilities off of your shoulders. These organizations offer outsourced HR management services, such as payroll, benefits, worker's compensation, recruiting, and training and development. Employer of record services do this by hiring a client company's employees, thus becoming their employer of record for tax and insurance purposes. This practice is known as joint-employment or co-employment. One area where this is a particular problem is when a U.S. business is looking to hire Canadian employees. There are a number of different laws and regulations between the two countries, and it can be intimidating for a small business in the U.S. to have to deal with and understand these differences. However, an employer of record in Canada can legally be the employer of these Canadian employees, in the eyes of the Canadian government, and they will handle any necessary payroll and benefits responsibilities. Management and taxation responsibilities can be particularly difficult for those taking on independent work arrangements. A portable employer of record is ideal for independent contractors and freelancers, acting as an umbrella employer for self-employed professionals, in return for a small percentage fee on revenues earned. Portable employer of record services can take on handling such responsibilities as invoicing and collecting, credit checks, medical, dental, and life insurance, withholding for income taxes and self-employment taxes, and 401(k) and other retirement plans. A big advantage of employer of record services is that they have a huge employee count, which then allows them to negotiate benefit plans for more favourable rates than a small business could get on its own. These services save you the time and money of hiring a payroll processing service, an HR department, and negotiating a benefit plan. You get all those things in one with a professional employer organization. Naturally, your business is about making money, but you know better than anyone that making money is hard work: it takes time and dedication. Regardless of which industry you’re in, you’re going to be generating and sending out invoices, collecting and tracking payments, transferring money, balancing your accounts, paying employees, and remitting payments to the government. It’s all part of being in business, after all. All of the bookkeeping, payroll processing, and tax filings that come with being in business can become incredibly time consuming, especially as your business starts to grow. As a business owner, you can start to feel like these processes are taking up all of your time, which leaves you with very little time to spend on your other business activities—the ones that actually make you money. If this is how you’re feeling in the situation, you have three options: You can keep doing it yourself, you can hire an in-house payroll clerk, or you can outsource the responsibility to a payroll service provider. If you keep doing it yourself, you’ll find yourself with less and less time to work on your other responsibilities. If you hire in-house, you will still spend a lot of time training your new employee and fielding payroll-related questions. Outsourced payroll on the other hand can leave you free to do your work without having to worry about a hefty expense, accuracy, timeliness, or compliance. Payroll service providers have specialized teams of qualified professionals on staff who know everything there is to know about tax legislature, government regulations and deadlines, and the subtle nuances of payroll management. Their extensive knowledge and experience makes them more efficient and accurate in their payroll processing than you or your employees could ever be. 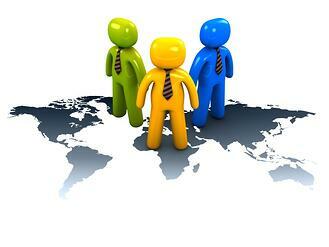 Take advantage of this expertise by using outsourced payroll. These experts don’t have to spend all their time looking up relevant tax laws or regulations. They know their stuff, so they can manage your payroll quickly and effectively. And since you only pay them for the work they do, this also saves you money in the long run. When you use outsourced payroll you get to save time thanks to a payroll service provider’s autonomy. You don’t have to spend extensive hours collaborating with them to make sense of the work to be managed, no matter how complex it is. With an in-house payroll clerk, you’ll still be involved more than you’d like to be, which doesn’t save you much time. But a payroll service provider will only need you to provide the relevant payroll numbers once every pay period and the experts will handle the rest. Most business owners’ top complaint is that there aren’t enough hours in a day. But when you use outsourced payroll, you suddenly get more time every day to spend on working with new products, services, marketing ideas, customers, or expansion efforts. You’ll even get more time to spend with your friends and family. You can focus your efforts where they matter instead of being stuck under piles of payroll paperwork. To get the most out of your payroll service provider, find one that works for your unique business needs, compare prices and services, and calculate just how much time you’ll save by switching to outsourcing. Once you see how cost-effective outsourcing can be and realize how much time you’ll save from putting the responsibility on someone else’s shoulders, we’re sure you’ll make the switch. When an American company is using Canadian workers, by law, it must pay them in compliance with Canadian payroll legislature. Simply converting funds to Canadian dollars, ignoring taxes and other deductions, and sending out cheques to Canadian employees is illegal—and it can come back to bite you. This may seem like the easier option, but if your Canadian employees aren’t truly independent contractors, this business practice isn’t going to fly with the Canada Revenue Agency. It can lead to hefty fines and penalties. When you’re paying Canadian employees, you must comply with the payroll laws of the country. However, this can be difficult—there’s a lot to know and understand and many steps to take to ensure you’re paying them legally. If you’re not sure you can do it correctly, consider using outsourced payroll. Outsourcing your payroll responsibilities provides you with many benefits. 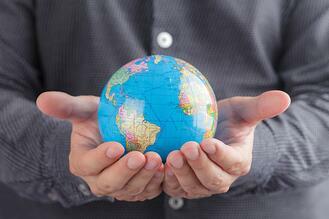 As an American company, here are just five reasons why you should use outsourced payroll. Every company is looking to save money—and you can do just that with outsourced payroll. To manage Canadian payroll on your own, you’re going to need a completely new Canadian payroll software system. Your American system just won’t cut it—the laws and rules are too different. This can cost you a pretty penny. Additionally, you’ll need to take time away from your other responsibilities or hire someone in-house to handle the task, which will also cost you more than you’d expect. And if errors occur due to a lack of knowledge, you could be paying more in government fines. With an outsourced payroll provider, you only pay for the work that’s done—with no hidden fees. You’ll also save on the costs associated with printing, tax filings, and invoices and pay stubs. What would you do with a little more time? With an outsourced payroll provider, you free up a lot of time that would otherwise be spent on mundane and never-ending payroll paperwork. 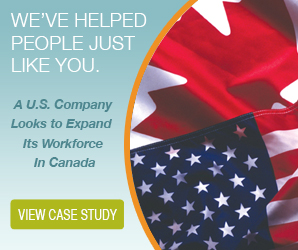 For an American company, learning Canadian legislature, keeping up with deadlines, filing appropriate tax papers and remittances, and ensuring accuracy in calculations can be especially time consuming without prior knowledge. When you outsource the responsibility, you don’t have to take time away to do any of this. Errors in payroll can cause you more headaches and cost you more money down the line. To avoid these troubles, your best bet is to outsource your payroll needs. Your payroll provider is an expert—he knows the ins and outs of Canadian payroll so he can ensure that your payroll process is always accurate, so you don’t have to worry about errors coming back to bite you later on. Canadian payroll legislature is complex and stringent. If you don’t know every single law that applies to your company and your employees, you could end up in hot water with the government. Luckily, your payroll provider will be up to date on all current tax and employment laws to ensure that you’re always in compliance. You won’t have to do any research or keep up with any changes in legislature when you use outsourced payroll. When you know the ins and outs of payroll in Canada, you can do the job at a faster speed. As an owner of an American company you naturally won’t have the knowledge needed to manage payroll quickly—you’ll have to spend a lot of time learning the ropes, which will cost you more in time and money than you would if you simply outsourced the responsibility to an expert.